A new dinner series is coming to Tampa Bay. 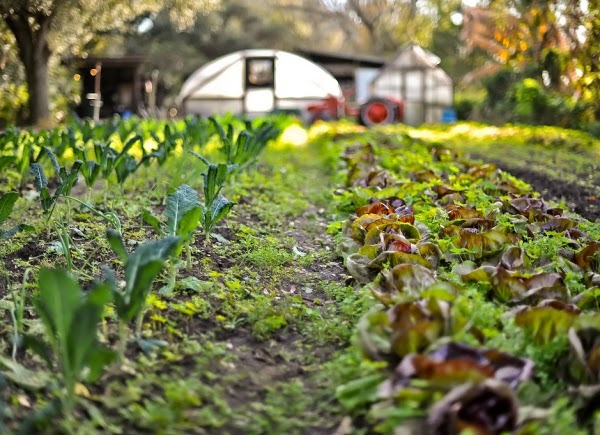 The Rooted Door will kick off their three part experimental dinner on Friday, May 15 from 7 p.m. to 9:30 p.m. at Sweetwater Organic Community Farm. “Stories from the Farm,” is the premiere event of The Rooted Door series and guests will enjoy a multi-sensory experience while dining al fresco amid farm and garden pastures. Stories from the Farm will be presented by two of Tampa Bay’s most noteworthy chefs, Ferrell Alvarez of the highly acclaimed Rooster & The Till, and Don Pintabona of the culinary wonderland, Locale Market,. This concept was inspired by the Bay's evolving food city and emerging metropolitan scene. Chef Alvarez and Chef Pintabona’s inspirations, passions, and roots to Tampa and the culinary world will be brought to life through a delectable and collaborative dinner. 7:00p-8:00p- Guests enjoy cocktails and hors d’oeuvres while mingling with each other and exploring the farm. 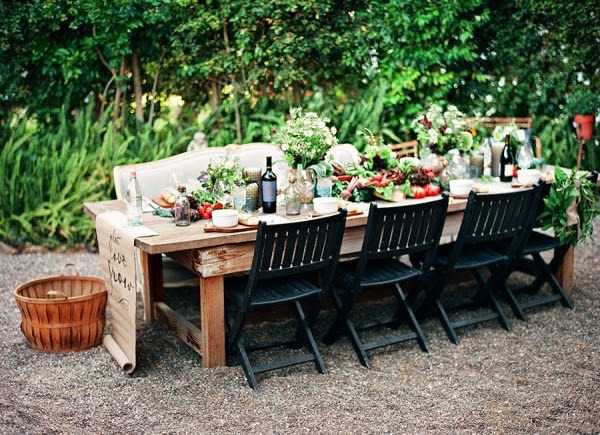 8:00p - 9:30p - Guests sit down at the communal table to a 4 course meal led by featured chefs. Chefs will interact and engage with guests throughout the meal. 9:30p - Guests depart with thank you gifts. Read below for the full press release on this event. Tampa. FL. 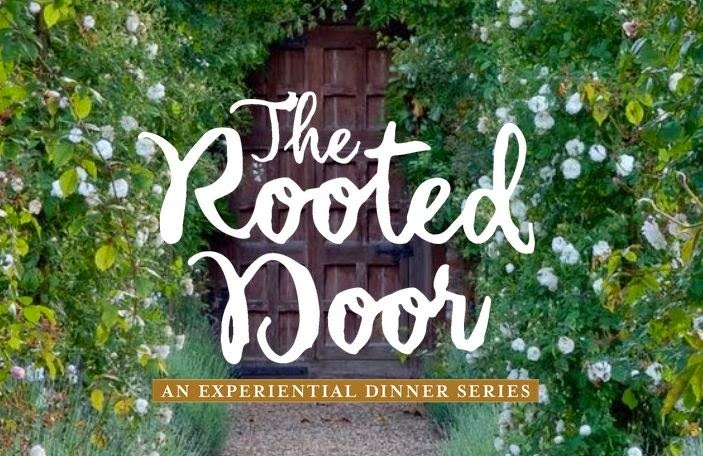 – (April 2015) – PASK Productions is thrilled to unveil their inaugural, three-part experiential dining series, “The Rooted Door,” on Friday, May 15 from 7 p.m. to 9:30 p.m. at Sweetwater Organic Community Farm. Located within the rustic landscapes of Tampa Bay, this concept was inspired by the local market’s evolving “food city” and emerging metropolitan scene. “Stories from the Farm,” the premiere event of The Rooted Door series, will launch with a multi-sensory experience during which guests will dine al fresco amid farm and garden pastures while enjoying fine farm-to-table cuisine prepared by nationally-acclaimed local chefs Ferrell Alvarez of Tampa’s Rooster & the Till and Don Pintabona of Locale Market in St. Petersburg. Tickets to The Rooted Door “Stories from the Farm” series are available for advance purchase at $120+ per person (tax not included). Proceeds from ticket sales will benefit Sweetwater Organic Community Farm educational initiatives to support their initiatives to educate the community on how to live healthy and sustainable lives; as well as to The Rooted Door’s scholarship fund, a crucial part of the series’ community give-back initiative to Leto High School’s Culinary Arts Team. This scholarship will foster a student’s dream of furthering their education in the culinary arts and will pave their path to potentially becoming the next great chef. To RSVP for the May 15 dinner, please visit www.therooteddoor.com. Details of the fall event programming will be revealed on a future date. Attendees will be invited to warm the palate with a sampling of small bites, followed by a plated four-course dinner ripe with the season’s finest local ingredients presented by chefs Alvarez and Pintabona, as well as a gourmet dessert station. Additionally, guests will be given a basket and invited to pick their own farm ingredients for on-site mixologists who will prepare refreshing craft cocktails. The “Stories from the Farm” menu will focus on localism found at Rooster & the Till and Locale Market, as well as the philosophy that natural and sustainable products, and responsible farming are key components in ingredient selection. The story-telling menu inspired by each chef’s journey from childhood to the present will ignite a narrative, where attendees will interact with the chefs and fellow patrons. The goal is to establish an intimate backdrop infused with deep conversations and offerings inspired by the chefs’ lives. PASK Productions hopes this will cultivate a new, imaginative event series of dining experiences that will bring to life the “immersive storytelling” platform into the event arena. Founded in 2008 by Alyse Pask, PASK Productions, an experiential event marketing and branding agency with offices across Southeast and Southwest Florida, delivers premium services to a high-end clientele across the country. Their collaborations with exceptional brands include BOMBAY SAPPHIRE Gin, Cirque du Soleil, CORZO Tequila, L’OREAL Paris, DUSSE Cognac, Oxley Gin, ULTRA Music Festival, National Young Arts Foundation, and Beats by Dr. Dre among others. Driven by a love for creating conscious events that impact people, grow communities, and support the culinary arts, PASK Productions believes in giving back in creative and inspiring ways. With roots in the Tampa area, PASK Productions is committed to helping grow a city that has provided so much to the team’s development. For more information, please visit www.paskproductions.com. There’s something to be said about coming together to embrace our roots. From the farms that grow the produce we eat, to how we celebrate our diversity at the dinner table, The Rooted Door honors the many flavors of our community with memorable and experiential events. Conceived and produced by award-winning PASK Productions, The Rooted Door is a fully-immersive, creative dining experience designed to share the stories and explore the palates of our greater community’s culinary experts. Honoring the beauty of an audience as varied as the ingredients that will be served, join us on a journey with friends and family, old and new, that takes a local and thoughtful approach to storytelling, eating, and discovery. For more information please visit www.therooteddoor.com or call 786.529.4447. Locally praised Tampa-based Chef Ferrell Alvarez and owner of the noteworthy Rooster & the Till has made a name for himself as a forward-thinking culinarian in Tampa. In the first 10 months of being open, Rooster & the Till, a Modern American restaurant focusing on best ingredients from local farms and gardens, has earned both Best New Restaurant and Best Chef from Creative Loafing and Best New Restaurant from Florida Trend Magazine. As a graduate from the Cincinnati Culinary Arts Academy, Alvarez has been the recipient of nationwide recognition for a unique culinary view and artistic ambition. Established in 1993, Sweetwater Organic Community Farm is a nonprofit community-supported urban organic farm and environmental education center in Tampa, FL. The farm embraces the spirit of community through their extensive programming including a Community Supported Agriculture (CSA) Membership, Sweetwater Sunday Farmers’ Market and Music Series, and a plethora of hands-on educational programs teaching community members of all ages about sustainable agriculture and the beauty of the diverse world we live in. For more information please visit www.sweetwater-organic.org. The Culinary Arts Program teaches students top-level kitchen management and offers four levels of culinary mastery. Through interactive classes and exciting culinary competitions, the program challenges creativity, sheds light on the culinary world and supports its’ members to pursue their passions. For more information, please visit www.leto.mysdhc.org. Chicago Marathon 2015, here WE come!